Sacred Space Church has been several years in the making. 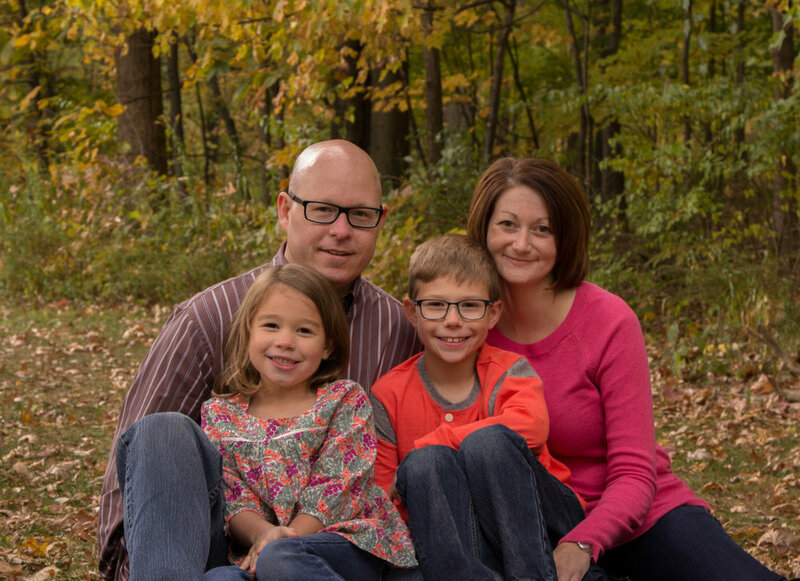 We (Nate and Erica Graff) moved to Worthington 15 years ago with the hope of raising a family and being a part of this community. After living in Colonial Hills for about a year, Nate sensed the initial urge from God to consider starting a new church. We were newly married with much to learn about life, and experiencing some challenges along the way, but Jesus was only beginning to transform our lives. Life mentors encouraged us to attend the Vineyard Leadership Institute, and we completed this training in 2007 just before our son was born. The next several years were full of changes as we began our family, and the Holy Spirit used these experiences to heal our hearts and help us more fully engage our community. In November 2013, Erica sensed God's invitation to start a new faith community in the area of Worthington/ North Beechwold. We always assumed we would have to move across the country to start a new church, but instead began to see the needs of our surrounding community and felt God's heart opening wide for this place. He encouraged us to pursue beginning a neighborhood church exactly where we were planted with the neighbors we loved! We have not done this alone. Several other families have caught the vision, and have committed to joining us in this endeavor who live in Worthington, attend the local schools, and regularly participate in community events. Some of our team members have grown up here, and others have recently moved here in the past year. Our team is committed to Worthington, and her surrounding neighborhoods. Our team was officially released and sent out from Central Vineyard Church on Sunday May 24, 2015. Pastors Nate and Erica Graff have been married for over 15 years and have 2 children attending Colonial Hills Elementary School. Currently, Nate works as a Software Developer for Columbus City Schools, and Erica works as a Speech-Language Pathologist for Franklin County Board of Developmental Disabilities in addition to being Pastors of Sacred Space. You might catch us running around the Colonial Hills neighborhood, or at Selby Park.